Sylvie this is adorable, I love it. Hope you are well. Wow, this is soo pretty - and elegant too. Love the colours and combination of papers. That butterfly is gorgeous! 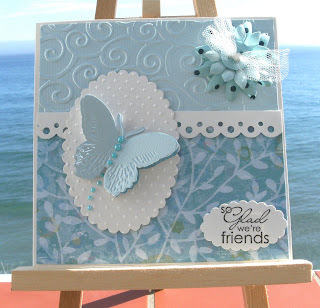 Wow gorgeous card, beautiful colours and fab butterfly.